Elizabeth Warren announced she will oppose him. By Kyle Scott Clauss·	 2/1/2017, 9:43 a.m. While Merrick Garland may never get his seat on the bench, President Donald Trump has nominated a fellow Harvard Law alum in his place: Neil Gorsuch. The 49-year-old Denver resident has served on the10th Circuit Court of Appeals in Colorado since 2006. His mother, Anne Burford Gorsuch, was the first female head of the Environmental Protection Agency under President Ronald Reagan, and resigned under allegations of political favoritism with toxic waste cleanups. 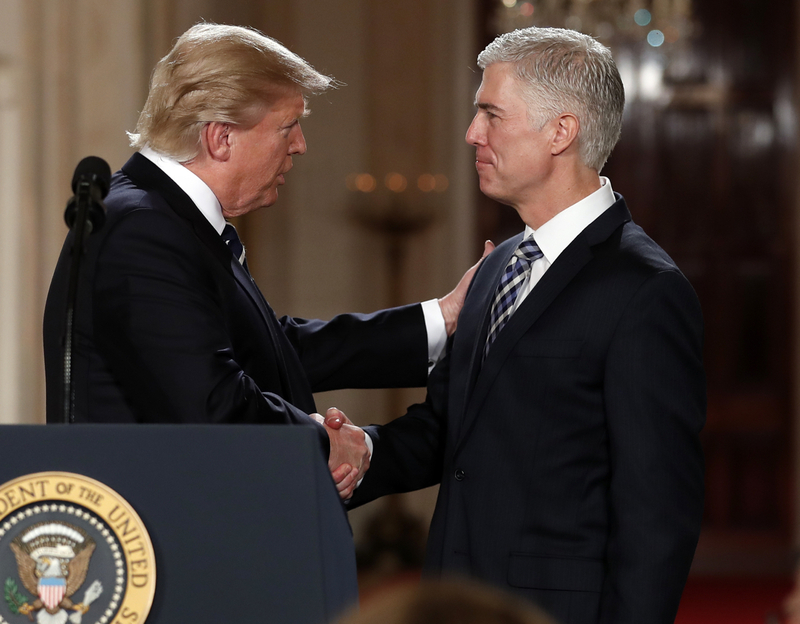 “Judge Gorsuch has outstanding legal skills, a brilliant mind, tremendous discipline and has earned bipartisan support,” Trump said Tuesday night. Gorsuch was a classmate of former President Barack Obama while at Harvard. Another member of the HLS Class of ’91, Obama’s ethics czar Norm Eisen, tweeted his congratulations ahead of the announcement Tuesday night. Ideologically, Eisen is more conservative than the late Justice Antonin Scalia—yet another Harvard Law alum—whose seat he would fill if confirmed by the Senate. Several Democrats have already called for a 60-vote majority to confirm Gorsuch, including fellow Cantabrigian Sen. Elizabeth Warren. “For years, powerful interests have executed a full-scale assault on the integrity of our federal judiciary, trying to turn the Supreme Court into one more rigged game that works only for the rich and the powerful. They spent millions to keep this seat open, and Judge Gorsuch is their reward,” Warren posted on Facebook.